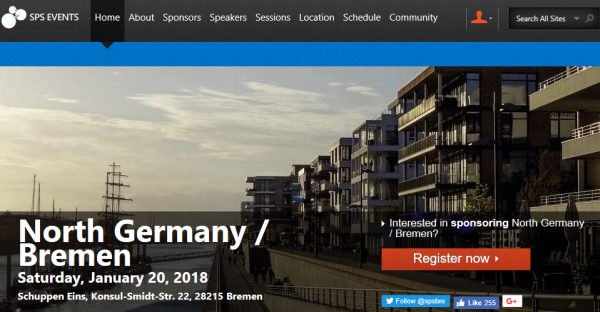 We are looking forward to see you at the SharePoint, Office 365 and Azure community event next week on January 20, at the first SharePoint Saturday North Germany 2018, in the city of Bremen. There will be a lot of interesting sessions and a great speaker's lineup. CU there! So, hope to see you there at the our first SPS community event this year! You still can register here!